Sprague Resources LP is engaged in the business of refined petroleum products and natural gas in the United States. The company operates through the medium of four segments i.e. Refined Products, Natural Gas, Materials Handling, and Other Operations. Sprague International is a firm of leaders. It is amongst the top suppliers of material and energy services in the north-east. From heating oils to residual fuels, natural gas to diesel fuels, they have a wide range of products which are widely utilized by a number of buyers across the world. One of the best qualities of the company is that it has consciously made efforts to expand its base and meet the changing standards of the logistics and cut/throat energy markets. The firm has esteemed clientele because they continuously focus on delivering the best results available in the market. Their years of experience summed up with a brilliant team are the reason for their success. There is no denying the fact that the dynamics of the market, the subjective difference between standard and sub-standard and pricing policies sort of tend to make or break the fate of any company. Sprague International has by far excelled in all these areas creating the right blend service and structure over the years. Reaching out to the costumers is another very important quality in the business organization. Costumer support and value added services to the clients are another USP of the company. The firm was established back in the year 1870 at Portsmouth New Hampshire. Its corporate headquarters are still situated there. There is another office at White Plains, New York. 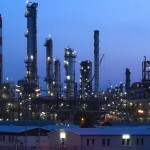 There are as many as 16 refined products and material handling terminals, totally owned and controlled by the company. This speaks about the large gyre and expanse of services offered by them for their potential buyers. In the year 1870, the firm was initially built to meet the coal requirements in the explosives department; in the industrial age. However with passage of time and growth in their products and services, the company came up with many new offices and many new products that are now proudly part of the esteemed lineage.The steamship co. by Sprague was found during the First World War, for transporting tons of coals across the Atlantic Ocean. The company is totally dedicated towards conserving the environment and opting for those methods of using natural resources that are safe and reliable. This is one of the qualities that help the company become one of the leaders in their trade. Phillips 66 Partners (PSXP) started trading on the New York Stock Exchange on July 23, 2013. It is headquartered in Houston, Texas, and is a master limited partnership formed by Phillips 66. It deals with crude oil, refined petroleum product and natural gas liquids.Phillips 66 ,an American company was founded in 1917 and is headquartered in Houston, Texas LP acquires, owns, develops, and operates raw oil, refined oil item, and natural gas liquids pipelines and terminals, as well as other transportation and midstream assets in the United States. 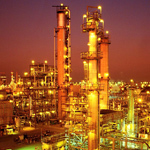 Its assets include Clifton Ridge raw program, a raw oil direction, international airport, and storage space program in Sulphur, Louisiana; Sweeny to Pasadena products program, a enhanced oil item direction, international airport, and storage space program to distribute diesel and gasoline in Old Ocean, Texas; and Hartford Connector products program, a enhanced oil item direction, international airport, and storage space program that distributes diesel and gasoline to third-party direction and international airport systems located in Hartford, Illinois. Phillips 66 Partners GP LLC is the general partner of the company.More than 13000 employees are working worldwide for Phillips 66.Among Fortune 500 list,Phillips 66 is on rank number 4 on the other hand is it on number 16 on the Fortune Global 500 list as of 2013.Philips was also among the first oil company who introduced a multi-grade motor oil in 1954. 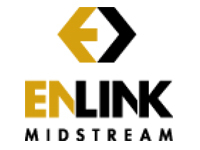 Enlink Midstream (ENLC) is an independent midstream energy company, involved in natural gas gathering, treating, distribution, supply and crude oil marketing. The company is headquartered in Dallas, Texas.EnLink Midstream, LLC provides midstream power solutions in North America. It provides collecting, transmitting, handling, fractionation, and marketing solutions to manufacturers of organic gas, organic gas fluids (NGL), raw oil, and condensate. 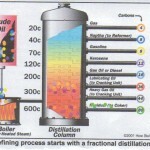 The organization also provides raw oil, condensate, and brine solutions to manufacturers. Its qualities include roughly 7,300 kilometers of collecting and transport sewerlines, 12 organic gas handling plants, 6 fractionators, 3.1 million drums of NGL give storage, train devices, burst devices, truck devices, and a navy of roughly 100 vehicles. The organization was established in 2013 and is based in Facilities, Texas. EnLink Midstream, LLC operates as a additional of Devon Energy Corporation. NGL Energy Partners is a limited partnership company and it operates a vertically-integrated propane business. The retail propane business sells propane to end users. The wholesale supply and marketing business supplies propane and also provides related storage. Ferrellgas was founded in 1939 in Atchison, Kansas. It is now being headquartered in Overland Park, Kansas. It is the largest provider of propane and it serves approximately 1 million customers in the District of Columbia, and Puerto Rico. The company has been the propone provider for more than 70 years in America and it has been nation’s premiere propane provider. The company provides services to business, homes and agricultural firms. As being the propone leader the company serves 1 million customers nationwide. The corporate and business strategy of the company has been one of the main reasons in success of the company. The company believes in merging and acquisition business strategy. The company is one of the largest propone distributors because it has effective group of partners. The company has made partnership with other propone providers at different location to reduce the cost of plantation and network establishment in new location. The company currently announced the acquisition of wise choice propane which is an independent owned propone retailer in Utica, Ohio and Mount Vernon. By acquiring the company, Ferrellgas Partners has achieved the access over Mount Vernon, Utica and Ohio. The presence of wise choice in Ferrellgas family has strengthened the group by playing an essential role in worldwide services of the Ferrellgas. Ferrellgas will be getting benefits from large growth of the population, economic benefits of Utical Shale. The company has acquired several propone providers of different locations to get grip over global propane business. The company previously acquired the Kaw Valley Propane of Topeka, Kan; Motor Propane Service of Manitowoc and Sheboygan; Country Boys Gas of Commerce, Ga; Viking Propane of Madison, Calif; and KanGas Corporation of Basehor, Kan. The company has been successful in acquiring reliable and strong partners for its firm and acknowledged the growth and success in propone industry. Lehigh Gas Partners LP is a distributor of petroleum for motor vehicles in the United States. It has a network of almost 800 gas station locations in 12 states in the US. The corporate office is headquartered in Allentown.Lehigh Gas Partners LP is involved in the general submission of engine energy sources to sub-wholesalers, separate traders, lessee traders, and others; and retail store submission of engine energy sources to end clients at commission sites in the United States. The organization functions through two sections, Wholesale and Retail. 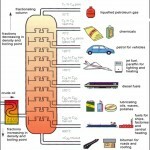 It primarily offers fuel and diesel fuel energy sources. The organization also operates and rents property used in the retail store submission of engine energy sources, as well as provides maintenance and other services to lessee traders and other clients. Lehigh Gas GP LLC functions as the general partner of the organization. The organization was established in 1992 and is located in Allentown, Pennsylvania. Sinopec Petrochemical (SHI) is a company, primarily engaged in petroleum and chemical industries. 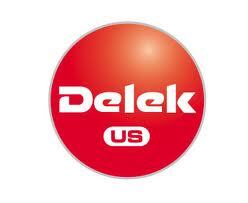 The company distributes its products in both domestic and overseas markets. The major market is the East China. 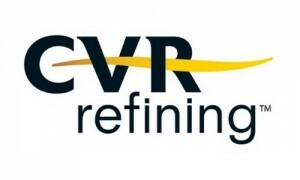 CVR Refining is an independent downstream energy company. It deals with crude oil refining, gathering and refined petroleum product marketing operations. The company is focused on increasing profitability and committed to environmentally conscientious operations.CVR Improving, LP functions as a oil refiner in the United Declares. It operates and functions a complicated full coking medium-sour raw oil refinery in Coffeyville, Might with a potential of roughly 115,000 drums per schedule day (bpcd); and a method complexness raw oil refinery in Wynnewood, Ok with a potential of roughly 70,000 bpcd. The organization also manages and functions strategies resources, such as roughly 350 kilometers of possessed pipelines; roughly 150 possessed raw oil transports; a network of raw oil collecting container farms; and roughly 6.0 thousand drums of possessed and rented raw oil storage potential, as well as a 145,000 drums per day direction system that carries raw oil from its Broome Place container village to its Coffeyville refinery. CVR Improving, LP was established this year and is based in Glucose Land, Florida. The organization is a additional of CVR Energy, Inc.
Alon USA Associates, LP refines and markets oil items mainly in the South Central and South west areas of the United States. The organization functions and functions a raw oil refinery in Big Spring, Florida with raw oil throughput capacity of 70,000 drums per day. It refines oil into oil items, such as energy, diesel energy, jet energy, petrochemicals, petrochemical nourish shares, asphalts, and other oil items. The organization offers its items to retail grocery chains through general submission network and other third-party suppliers. Alon USA Associates GP, LLC works as a general partner of the organization. The organization was established this year and is based in Facilities, Florida. Alon USA Associates, LP is a additional of Alon Resources, Inc.